My mission in the Nurturing Fathers Program and the Fathers Care Workshop seeks to build the capacity of diverse parenting education programs to meet emerging demands and needs. The goal is to: improve family functioning, reduce time children spend separated from parents, and prevent family disruptions. The intended outcome is to facilitate greater communication among family members and increase community collaborators. This mission statement can be found on my private work website www.fatherscareworkshop.com and the Nurturing fathers Program website www.nurturingfathers12304.com. The mission statement was crafted over time as several important points of significance culminated in my work. As I applied to the Graduate Program in Adult learning at Empire State College (ESC), I simultaneously also applied to become part of the inaugural Leadership Training Initiative (LTI). A goal of the Initiative was to partner with a community program and provide support and development in furthering their work. I understood this to mean a social justice issue. At the same time, I was finishing a two-year Fellowship with the Zero to Three Network in Washington D.C… I was actively pursuing advancing my role to provide support, promote collaboration and increase sustainability of community organizations focused on parent education of infants and toddlers. I was accepted to the Fellowship based on my experiences and not academic achievement, and was a very big outlier in terms of previously selected Fellows. At the same time, I was also approached by Walter Simpkins, a longtime colleague involved in fatherhood work in a community program called the Community Fathers Program in Schenectady. He requested help with providing evidence that fathering programs work so he could provide outcome measures to include in grant proposals. This “perfect storm” provided me with an opportunity to do what I am known to do. I completed research. I made calls and connected with the program developer (Mark Perlman) of a 30 year old evidence based program called the Nurturing Fathers Program (NFP) that uses a very well-known, reliable, and valid evidence based model to measure success called the Adult Adolescent parenting Inventory (AAPI). After consulting with Walter for approval, I found myself enrolled in the 2015 training to become a facilitator in the Nurturing Fathers Program. As I completed more research and participated in learning through the LTI, I became amazed in regard to the deficiency of services for fathers in terms of fatherhood education and the ways this has been used by the System (Family Court & Parole), limiting fathers from connecting with their children. I found that fathers have often been eliminated from Family Cases with the Department of Social Services (DSS) due to absence or lack of evidence that they are fathers so they aren’t entitled to services (fatherhood education). And courts, which require parenting education for fathers to move forward, don’t fund parent education. This is often required during Support Court hearings and trials. And, while fathers are required to follow through parent education, (Courts, Parole, Probation, and DSS), the community doesn’t generally fund this work as fathers are largely characterized as “dead beat dads” choosing not to be involved. Instead, it is up to people in the community to provide the services for fathers to reconnect with family. This in effect became a social justice issue, as fathers are being ordered to do something that doesn’t exist. If a father can find a private resource, the prohibitive cost is an obstacle to being able to follow through. 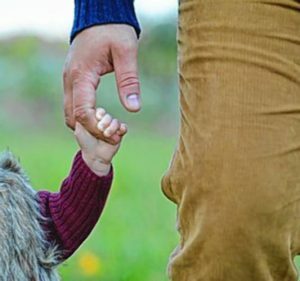 While the Community Fathers Program is primarily designed to serve fathers involved in allegations of domestic violence, the Nurturing Father’s Program (NFP) was different, and would appeal to wider lens of fathers and fatherhood work. It would in essence, be another resource to widen opportunities for fathers. While the Community Fathers Program primarily focuses on co-parenting and conflict resolution, the NFP focuses on parenting education and concrete skills for teaching and nurturing children and family growth and development. The Nurturing Fathers Program also uniquely has fathers look at recognizing and celebrating cultural differences in families and this increases its sense of being culturally responsive. We (me and Walter), were also encouraged to use the NFP model because I would be able to return and train other fathers to become group leaders. Our intention and goal in our work is to promote independence and look at ways for fathers to become leaders in their own communities to create sustainability. In being able to train fathers to conduct these trainings in their own communities, we can then look at how to support and mentor the work. It was from the first class I led that I was able to recruit Muhammad Harris, an incredible person that helped by co-leading groups and become a group facilitator. Training with Mark Perlman in Sarasota, Florida provided me with a great opportunity to connect with other people involved in fatherhood work from around the country. Mark also made himself available throughout the time I was developing the work at home, to provide some guidance and reflection on program development. It was very enlightening to learn more about the valuable measure of the AAPI through its’ use in my work. The results were planned to be used by Walter with the numbers that he would need to demonstrate improved outcomes. Using the AAPI required time learning how to set up participants and provide graphic feedback (graph) for dad’s to see progress. From a social justice perspective, Mark and my research helped me to break out of older and outdated community scripts of ways to see fathers and fatherhood and look at newer models of fatherhood. For example, dads are not “deadbeats”; they are often faced with obstacles that prevent them from being able to parent cooperatively. And old roles of dads as “breadwinners” are now replaced by fathers as primary caregivers. And while as a parent educator I am seeing these roles changing, the community is still often stuck in the older framework that blames dads. A powerful learning experience for me in this has been related to a more informed understanding of the long term result of mass incarceration, particularly in regard to African American and Latino men and their families. As I began my term with the LTI, I was approached by a colleague and asked if I would be willing to serve a three year term on the National Parent Education Network (www.npen.org). I was unanimously elected and have served on the Council completing 2 years of my 3 year term. I have served as the Secretary and Executive Board member. In NYS, I have served for five years as a Steering Committee member on the NYS Parent Education Partnership (www.nyspep.org). I have served on: the Credentialing Committee, Chair of the Communications Committee, and Chair of the Mini Grants subcommittee. I also have presented for 3 years at the NYS Fatherhood Conference (Westchester, N.Y.). I have also presented at the Community Fathers Annual Conference in Schenectady. I was also extremely proud to have been awarded the prestigious Certified Family Life Educator credential through the National Council on Family Relations (www.ncfr.org) three years ago. One of the most important aspects to all of the work I have been involved in has been the hands on use of my Graduate learning to the community projects I am working with. As a Graduate student in the Adult Learning program, I have learned about many theoretical perspectives, improving critical thinking. I have used this when speaking about the importance of fathering and fatherhood in churches, mosques and synagogues, as well as community based organizations Schenectady. I have integrated fatherhood research and practice throughout my learning and implemented this practically in my work. For example, as I studied New Media New Literacies, I developed a podcast series called the Fatherhood Community Chat https://soundcloud.com/user-513198695/sets/fatherhood-community-chat . In this video series I have been interviewing: fathers, community based organization leaders, doctors, educators, faith based leaders, and people in leadership roles. During my Club participation in the Education for All and Human Services club, I worked with the President to rent the documentary Daddy Don’t Go (http://www.daddydontgothemovie.com/) to show at ESC locations in NYC and Newburgh and Schenectady to raise awareness. Working with a community donor and ESC, we even secured having a father and producer from the film, come to the showing and participate in a community discussion following the film. The recording of this is a podcast episode! Since then, I have traveled around NYS showing this film at colleges, schools, churches, and community groups. I found myself immersed in children’s picture books regarding fatherhood through the Keep-Mills Residency (2017) focused on Building Community in Times of Struggle http://fatherscareworkshop.com/wp-content/uploads/2017/08/Annotated-Bibliography-of-Chidlrens-Pictures-Books-of-Fathering.pdf . As a proponent of reading and literacy, I researched fathering and fathering portrayals in children’s picture books. A master bibliography was compiled; and a literature review with an annotated bibliography of 50 of the books reviewed was published on line at www.fatherscareworkshop.com in the research section. I have presented on this work several times around the country at conferences and had a lot of positive feedback. Through my study in New and Emerging Technologies, I learned many valuable skills in terms of social networking and social media and how to share the message of what I am doing. Having never done this before, I developed a website for the Nurturing Fathers Program so that fathers in the community leading these groups would have access to resources I used (video & tools). The website can be used by family, friends and business to see how the group is individualized here. And can be used by facilitators in the future. I also developed a Face Book site https://www.facebook.com/Nurturing-Fathers-Program-of-Schenectady-1672180226400492/. Mark Perlman validated my 2.5 years of work and development in fatherhood when I was certified in October 2017 as Master Trainer in the Nurturing Fathers Program. Celebrating my accomplishments and research, Mark has provided me with a path to train other people to become trainers in the Nurturing Father’s Program. As a result, I have recently signed a contract to train a group of 15 emerging fathering educators at the Buffalo Prenatal-Perinatal Network. I am looking forward to utilizing many of the skills in assessment and evaluation that I have learned in the Master’s Program in terms of this future training and development. While it has been a bit of a challenge to nominate myself for this award as I don’t believe in self-promotion, I hope that ESC will see the value in the work that I have done in my service work through my education. It will be an honor for the Community Fathers Program, the Nurturing Fathers program, and fatherhood overall to see some recognition of this important social justice issue that has long been overlooked. Five years ago, Sharmain Harris would not have been listed in Kenosha’s “20 Under 40” section. That’s because he was in prison, doing time for dealing cocaine. But after some time behind bars and a life-changing stint at a military-style boot camp, Harris, now 29, came out a new man. First stop: getting a job at Red Robin as a dishwasher. While he was at Red Robin, he kept trying to find a better-paying job, but his felony record was a massive barrier. Rejection was everywhere. Then one day, he walked into the Racine-Kenosha Community Action Agency’s Kenosha Women, Infants and Children office. He was invited to attend a fatherhood class; when he showed up, he was the only student. “I took action right there. I told them I was sure I could get more guys to come,” Harris said. Harris did, gathering up men from the Uptown neighborhood surrounding the WIC office and beyond. He got “about 20” to attend the next round of fatherhood classes at WIC. Soon enough, he was helping lead the classes, even though his hands-on fathering experience was rather limited. “My son was just 10 months old and I was talking to guys who had 18-year-olds,” he laughs. Harris was so successful he was offered a full-time job at the Racine-Kenosha Community Action Agency in July of 2015. He got married to his wife Shanika six weeks later. Now he is a stepfather to Raziya, 12, and his son Armani, 3. Harris’ current title is WIC Father Involvement Coordinator. In that role, he walks fathers through a 13-week course that covers everything from cooking meals to getting a job to caring for the mother of their children. The first couple of classes focus on facing down whatever damage your own childhood did to you. In these sessions, men sometimes cry as they talk about their own dads. “You get in these groups with these guys and it’s like a healing session. They talk about their fathers. About mistreatment. I try not to cry, but I’ve cried before,” Harris said. Harris is also mentoring a few dozen dads on a regular basis. One of his goals: to get the men to realize what kind of lifelong impact their own words and actions can have on a child. On top of these responsibilities, Harris is also a student at Carthage College, with plans to graduate in 2021. After that, he would like to start his own business, perhaps one that promotes his unique message about the importance of being a father. Still, his primary role in life is to be a dad to his son and daughter, and a devoted husband to his wife. His face lights up when he talks about his family. “Being a father is a huge responsibility, but it’s nothing to be afraid of. It’s to be welcomed,” he said. HOLYOKE — When Victor Andino walked into the Nurturing Fathers Program in Holyoke several months ago, he had a chip on his shoulder. Whether it’s a pre-release program through the prison system, referrals from the Department of Children and Families or the Center for Human Development or voluntary walk-ins, Enlace de Familias staff who run the program will take any father who is willing to learn. The group recently celebrated a completion ceremony for the latest fathers to participate in the program, which runs in 15-week cycles several times throughout the year. When Enlace’s executive director Betty Medina Lichtenstein first heard about the Nurturing Fathers Program over a decade ago, she knew Western Massachusetts had to become part of the solution and offer the program. Medina Lichtenstein knows the harsh truth about what happens to many families when there is no father present. Enlace has a trained team of professionals including Roy J. Lichtenstein, who serves as the master trainer and program coordinator, and program facilitators Efrain Santana, Freddy De Jesus and Carmelo Solivan. They work with the fathers on parenting skills, teaching them about how to discipline their children but also how to be caring and engaged parents. All of the fathers took a moment to speak about the kind of father they want to be. Some spoke from their hearts, others wrote down detailed notes, others only said a few words. Opening up and communicating is not easy for many of them, said Lichtenstein, who has worked with many fathers in the program. “I am always so proud of them because when they first come to us a lot of them don’t want to share or participate, but that’s not how we do things. We need all of the fathers to feel comfortable expressing themselves, their concerns and their fears with us because that’s how they develop the skills to be better parents,” he said. Javier Melero is a 19-year-old father of a 1-year-old son. He said he hopes to be the best father he can. “I want to do the best for my children, give them love and affection, protect them and love them with all of my heart,” he said. Jeff Pelky said he hopes to be a better father than his dad was to him. “I will always be there for my kids and put their needs before everything else. I will be the kind of father that never gives up on his family,” he said. Mark Chevalier said he hopes to be his son’s father and friend. “Unfortunately, being a father does not come with an instruction manual. I have made my mistakes, but I want to be the kind of father that maintains my sense of humor with my son but will still set boundaries when needed. My son is the best thing that ever happened to me, and I want to be the best role model for him,” he said. Richard Kilpatrick was another of the older fathers in the program. “I’m 46 years old and I’m a grandfather with two adult children, so I’m thinking coming in, ‘What can I be taught?’ I’m from a big family with a lot of traditions. What I got was what I was overlooking all the time: You have your children, but that doesn’t mean that you are a good father. The event included a presentation with awards given to Jay Breines, the chief executive officer of Holyoke Health Center, and State Rep. Aaron Vega, D-Holyoke. Breines received the Community Champion Award, given to a person who exemplifies community leadership through their actions, and Vega received the Community Alliance Award, given to a person whose overall work, leadership and dedication shape the character and vibrancy of communities in Western Massachusetts. Vega said growing up he had a strained relationship with his father, Carlos Vega, a well-respected social activist who fought for Latino rights until his death four years ago. The event also included a celebration for those who completed the Managing and Parenting Program geared toward couples, married or unmarried, to help them improve their parenting skills. The program is a partnership between the City of Holyoke and the Community Block Grant, the Massachusetts Department of Children and Families, Greater Holyoke Coordinated Family and Community Engagement and others. Jason loves his four kids. He is proud to be living with his wife and children in their newly purchased home. Not long ago, however, he was struggling with the stress of a number of issues, including unemployment and loss of custody of his children. Fun changes the way we do things for better!!!! This is the slogan used in a campaign “fun theory” promoted on YouTube by Volkswagen Group; and i fully support to the fact that Fun brings around a change for the better… Try to bring the element of Fun in whatever you do with your kid and see how well it is responded by your child. Make funny songs for the family members, friends, and daily chores; make a family anthem. A stitch in time saves nine. If you wish your child should never get lost or distracted, then don’t be lost to them, be yourself accessible to them during their childhood. Spending time with your child will help you to understand them better. You will learn to identify their strengths, emotions, likes, dislikes, tastes & preferences. Here you don’t have a choice; it’s imperative to give MAXIMUM “QUALITY” TIME to your Children. Don’t be on phone while listening to your child; either the person on phone or your child, any one of them can wait, and you know who could wait at that time. LISTEN when your child wants to say something to you; be a good audience if you want a good player out of your child. Your time is an investment for a return which will be passed on even to your generations to come. Fathering has to be a selfless act, a Kind gesture, a thoughtful action, a sympathetic approach, an attentive association. Say a thank you to the liftman each time you use the lift in your building. Say a thank you to the security guard who helps open & close the door. Treat all the people with utmost respect. Nurture your kids well. Be thoughtful or be ready to have kids who are thoughtless!!! If you wish to be a good father then you have to be the best husband. Loving your Childs mother is the foundation of trust, care & love for your child. Your Children will be good at relationships, they will be emotionally strong. They will display a sense of togetherness while in a team, in the family, in their lives. Appreciate your wife whole heartedly, show her respect, communicate, trust, cheer, motivate, support, collaborate with her at home; your child will realise these values early on in life. Encouraging is an emotional connect. Emotional connect is through heart. Heart is the core of everything. Encouragement is all about instilling confidence in your child. It’s all about making her realise the potential she has. It’s all about making the child feel proud about herself. Your spending time with your child could be an encouragement. A responsible father displays his responsibility in every action. At times it could be an adverse economic situation at home, but a responsible father always knows that the adverse situation is temporary, and things will be fine again with his efforts and faith. And, while the time advances towards better economic situation, the Father precisely takes care that he takes the “right path” to do so and does not practice any unethical behaviour which can cause a dent in his responsibilities towards fathering. In sound economic condition, he ensures to share his wealth for making the society a better place to live, thus creating an exemplary practice of Responsible Fathering. A Responsible Father Nurtures a Holistically Developed Child, such Children make a superior Society, Superior Societies makes a progressive Nation and a Happier world…………..